Xavier W. Richardson is a native of Miami, Florida. He holds Bachelor’s degrees in Organ Performance and English, and a Master of Science in Entrepreneurship, all from the University of Florida. 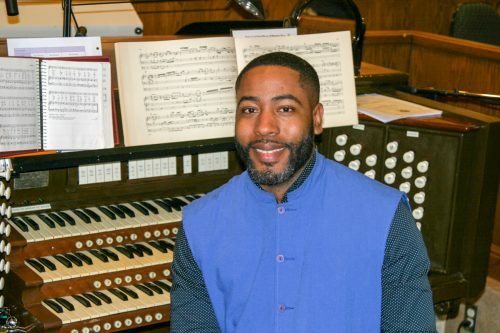 He currently serves as Director of Music and Organist at St. Benedict’s Episcopal Church where he plays the three-manual M.P. 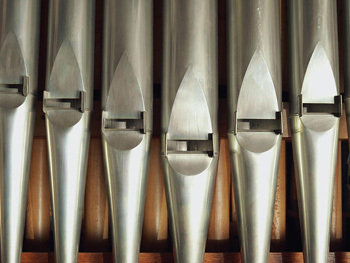 Moller organ and leads choirs in weekly liturgies and seasonal concerts. 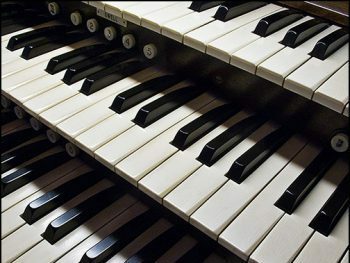 A member of the American Guild of Organists, he has performed recitals across the southeast United States and been commissioned by Jacksonville’s Riverside Fine Arts Society which hailed him as an “All-Star Performer”. As a clinician, he has led workshops on topics including “Worship Innovation”, “Balancing Tradition and Culture in Worship”, and “Hymns and Contemporary Music: Why We Need Both”. He is Founder/CEO of MusiCode Kids, a music and coding platform for kids ages 7-14. He is married to Danielle and they have two daughters, Halle (9) and Chelsea (4). 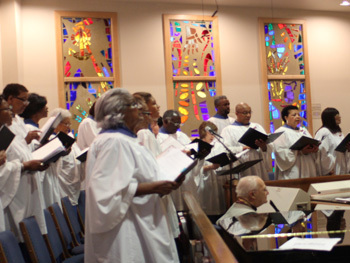 Chancel Choir (open to High School Freshman on up to Senior Citizen) practices on Thursday nights from 7:00 to 9:15pm in Church and also on Sunday morning before the 10am Mass (9:15am - 9:45am in Church) (And NO you do not have to read music, we teach you the skills you need. If you can sing Happy Birthday, you’re in). 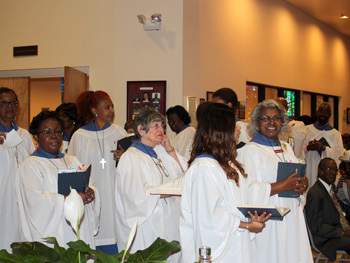 Not only does the Chancel Choir sing most weekends at St. Benedict's, but we also perform around the community at interfaith services and concerts.